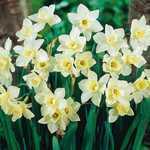 Narcissus Tazetta Bulbs Minnow is a dwarf daffodil. 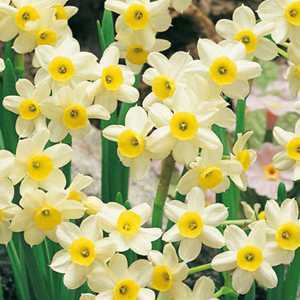 In spring it bears several fragrant trumpet-shaped pale-yellow and cream flowers. 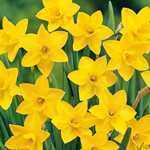 Position: Plant two times its own depth in autumn. 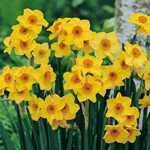 Prefers moderately fertile well-drained soil that is moist during the growing season.